The countdown is on until the launch of our highly anticipated ‘Golden Ticket’ competition. Be sure to grab your copy of the Mail next Friday April 5 to receive your Golden Ticket and begin collecting the ‘puzzle’ pieces to go in the running to win an incredible $3000 to spend at participating local businesses! 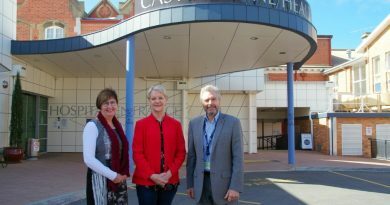 Castlemaine Health's chair of the board Sharon Fraser with Maree Edwards MP and CEO Ian Fisher.